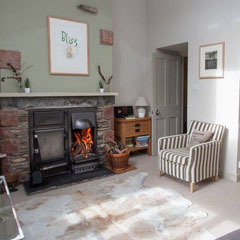 Tethera is a luxurious, contemporary single story holiday cottage near Coniston in the Lake District. This cosy yet well proportioned retreat provides the perfect setting for a romantic countryside escape. Recently converted from an animal tethering, it now provides quality holiday accommodation for two guests. The 'contemporary cottage chic' styling throughout, proves a winning combination. 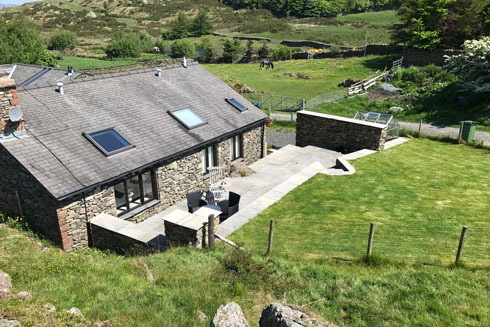 Tethera Cottage offers a truly unique and captivating experience and provides the ultimate place to escape and relax within the beautiful Lake District. 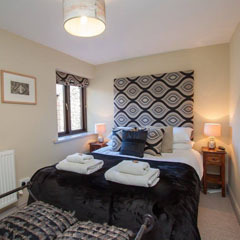 It is a perfect rural retreat with modern, comfortable luxury throughout, offering many qualities of a contemporary hotel, whilst having the privacy, space and charm of a traditional Lakeland cottage. 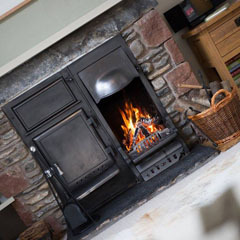 Tethera is ideal for those who are looking for a peaceful break away in the Lake District without the crowds; yet central enough to be able to enjoy all the attractions that the South Lakes has to offer. Many thanks we have had a lovely stay. What a beautiful and well equipped cottage - a good size too. The open fire and big dishwasher are just the icing on the top. 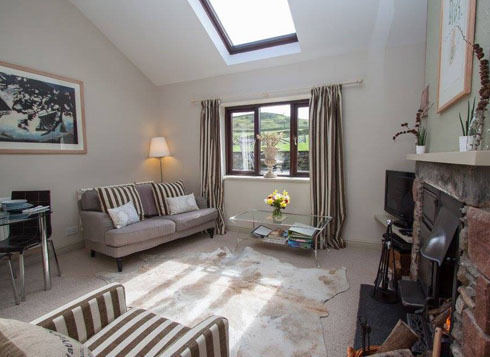 Well proportioned double bedroom with two windows which flood the room with natural light. Coordinated elegant furnishings perfectly complement the serene Farrow and Ball colour scheme. There is an inviting deep, pocket sprung double mattress, where you can curl up and watch the Sky television. The traditional cottage feel is apparent as soon as you light the wonderful open range fire, surrounded by the oversized stone fireplace. Enjoy dinner in this light and airy room, then curl up with your favourite tipple by the fire in front of the large flat screen television which offers a range of SKY digital channels or choose to chill out with a DVD. 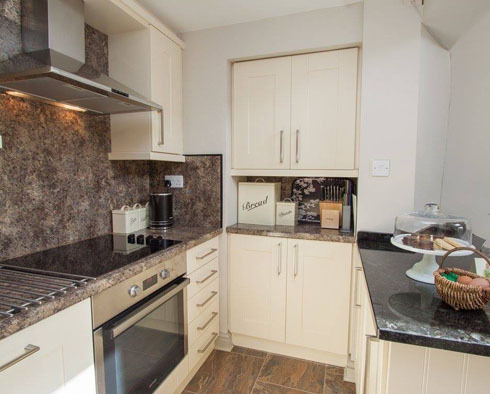 The brand new, calming cream, shaker style kitchen is linked to the lounge by a granite island and is well equipped with integrated dishwasher, electric oven, ceramic hob, microwave and fridge/freezer. 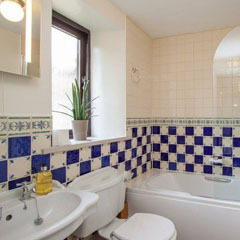 Modern and fully tiled bathroom with a bath and over shower. Tethera has its own outside seating in the courtyard and a BBQ for guests enjoyment. A stone outbuilding is provided for guests personal use and is great for storage of bikes/mountain gear or a kennel for a dog. Electricity, central heating and hot water are included within the price, along with essentials (e.g. dishwasher tablets, cleaning items, toilet rolls etc); Sky television (full HD package with movies and sport): duvets, pillows, linen and towels. Thank you very much for an enjoyable stay with you. The cottage is like home from home with all that was to hand when we needed it - especially the kitchen cupboards.